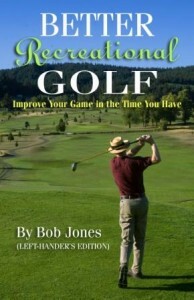 Data from shotbyshot.com, published in the July 2009 issue of Golf Digest magazine, stated that the distance from which the average high 80s shooter is as likely to one-putt as to three-putt is fifteen feet. What can we make of this factoid? Let’s look at how professionals perform from that distance. 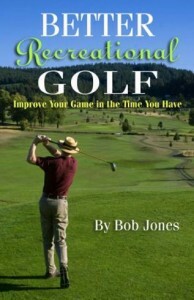 Data compiled for forty golfers playing in a 72-hole invitational tournament, and presented in the book The Search For The Perfect Swing, show that of 152 putts played from a range of twelve-eighteen feet, 35 went in the cup, and only 2 led to a three-putt green. That’s a long way from a break-even ratio. How do we explain it? Looking further, the data for these 152 putts also show that 122 of them, which count includes the ones that went in, finished no more than eighteen inches from the hole. There we have it. No one is good enough to make a fifteen-foot putt for the asking time after time, but someone can be good enough to give luck a chance much more often than not. Eight out of ten of the subject putts were hit well enough that one-quarter of them found their way in. Anyone who putts that well won’t leave the others far behind. It would be silly to expect to hit a 6-iron like professional golfers do, but there’s no reason why a recreational golfer can’t learn to hit a fifteen-foot putt like they do. No reason at all. Here’s how. Drop four balls on the practice green and putt each one with about a two-foot backswing. Important! Do not watch the ball roll out. Keep your head down and do not look up until all the balls have been hit. If your stroke was consistent, you will have four balls very near each other, about fifteen feet away. If they went too far, do it all over with a shorter stroke. 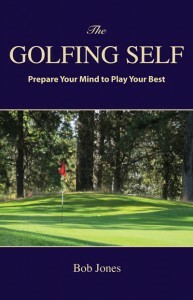 Once you get the right stroke and memorize it, you now have a stroke that guarantees you’ll leave a fifteen-foot putt next to the hole. You might try developing a standard stroke for twenty-five-foot putts, too. Oh, yes. The break-even distance for professionals in the Perfect Swing study was about thirty-three feet.